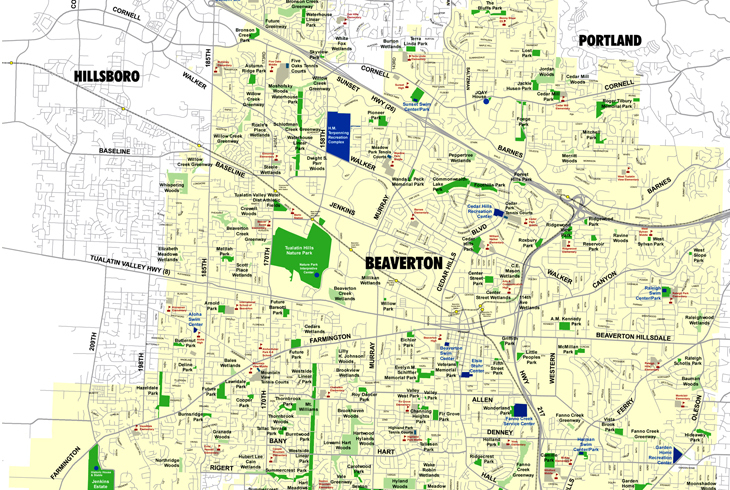 Formed in 1955, THPRD is the largest special park district in Oregon, spanning about 50 square miles and serving 250,000 residents in the greater Beaverton, OR, area. THPRD provides year-round recreational opportunities for people of all ages and abilities. Offerings include thousands of diverse classes, more than 95 park sites with active recreational amenities, 70 miles of trails, eight swim centers, six recreation centers, and 1,500 acres of natural areas. THPRD is supported by taxpayers. Its board of directors is elected by taxpayers to represent the public interest. Board meetings, open to the public, are typically held on the second Tuesday of each month. THPRD's day-to-day operations are managed by a staff of park and recreation professionals at the district's Administration Office, the Fanno Creek Service Center, and other locations throughout the service area.